The ice cream industry in India is worth Rs. 2,000 crores. The industry can be divided into the branded market and the unbranded market. The branded market at present is 100 million liters per annum valued at Rs. 800 crores. The per capita consumption of ice creams in India is just 300 ml per annum, compared to 22 liters in the US, 18 liters in Australia, 14 liters in Sweden. India is a way too far behind even in terms of the world average per capita ice cream consumption. But still, whatever may be the season, Icecream lovers like eating icecreams, they enjoy different flavours all throughtout the year. Here is a list of the most popular Icacream Brands in the country. 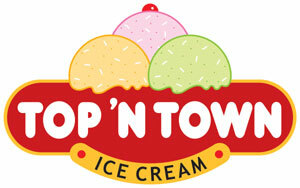 Bhopal – the City of Lakes is gaining popularity rapidly for one of the most promising brands in ice-cream- Top ‘N Town. Top N Town has been serving ice cream with smiles for almost forty glorious years now. Top N Town’s history dates back to a humble beginning by Late Shri Balchand Kukreja in 1970. The reins of the business are held by his five grandsons who further developed the business to what it is today. This group of five brothers was a combination of hard-work, determination and unity that made Top N Town touch the pinnacle of success. Ramani Brothers created a milestone among the business community of Bhopal. It is perhaps the professional approach backed by dedicated young team behind that lead to the phenomenal success of the Ramani Group. Today TOP’N TOWN has strong presence in seven States, Chhattisgarh Maharashtra, Rajasthan Punjab, Orissa, Uttar Pradesh and Madhya Pradesh. 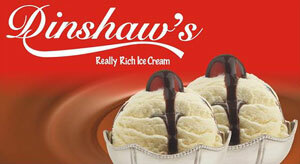 Dinshaw’s Ice cream was started in Nagpur, more than 20 years back. They had a regular milk supply and during non summer months they started selling milk. Dinshaw’s Milk was available at counters in number of cities in Maharasthra. They became very succesful due to their product quality and spread their business network in other states as well posng a challenge to the Government owned milk scheme. Dinshaw’s is a hit with those on the mall crawl, thanks to the zara hat ke flavours of ice creams it offers. Belgium, Mello Yellow, Litchi, King Alfranzo, Chikoo, Guava.. each is different, even if a trifle synthetic. Still, the Anjeer Badam Ice Cream and Asli Chocolate Ice Cream, both intense and unusual are particularly recommended. Amul Ice Cream was launched on 10th March, 1996 in Gujarat. The portfolio consisted of impulse products like sticks, cones, cups as well as take home packs and institutional/catering packs. Amul ice cream was launched on the platform of ‘Real Milk. Real Ice Cream’ given that it is a milk company and the wholesomeness of its products gives it a competitive advantage. In 1997, Amul ice creams entered Mumbai followed by Chennai in 1998 and Kolkata and Delhi in 2002. Nationally it was rolled out across the country in 1999. Not only has it grown at a phenomenal rate but has added a vast variety of flavours to its ever growing range. Currently it offers a selection of 220 products. Amul has always brought newness in its products and the same applies for ice creams. 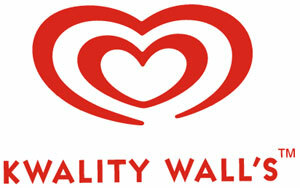 Kwality Wall’s is a major producer and distributor of ice cream and other dessert products in India, Pakistan, Sri Lanka, Malaysia and Singapore. It is a company of Hindustan Lever Limited, the arm of Unilever in India, and is an extension of the Wall’s ice cream brand of Great Britain. Kwality, the original Indian company, was founded in 1956, and was the first in the region to import machinery for the mass production and sale of ice cream on a commercial scale. In 1995, in view of the growth potential of the frozen confections market, Kwality entered into an agreement with Lever, and has since been known by its current umbrella name. Products that are popular in its home market are the Cornetto cone, and to create local variations on others, such as the Feast Jaljeera Blast. Mother Dairy – Delhi was set up in 1974 under the Operation Flood Programme. It is now a wholly owned company of the National Dairy Development Board (NDDB). Mother Dairy markets & sells dairy products under the Mother Dairy brand (like Liquid Milk, Dahi, Ice creams, Cheese and Butter), Dhara range of edible oils and the Safal range of fresh fruits & vegetables, frozen vegetables and fruit juices at a national level through its sales and distribution networks for marketing food items. 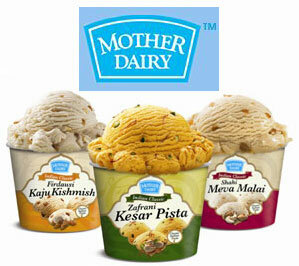 Mother Dairy sources significant part of its requirement of liquid milk from dairy cooperatives. Similarly, Mother Dairy sources fruits and vegetables from farmers / growers associations. Baskin-Robbins is a global chain of ice cream parlors founded by Burt Baskin and Irv Robbins in 1945, from the merging of their respective ice cream parlors, in Glendale, California. It claims to be the world’s largest ice cream franchise, with more than 5,800 locations, 2,800 of which are located in the United States. Baskin-Robbins sells ice cream in over 30 countries, including Canada, Japan, Mexico, The Dominican Republic, Bahrain, The United Kingdom, Russia, the United Arab Emirates, Egypt, Saudi Arabia, Australia, the Philippines, Thailand, Indonesia, Malaysia, China, Bangladesh, South Korea, India, Sri Lanka, Panama and Taiwan. 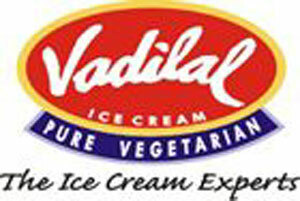 Today, the name Vadilal conjures images of lip-smacking ice cream in a whole gamut of flavours. Vadilal spells quality, availability, variety and state-of-the-art machinery and equipment. It has, however, been a long journey for the group, which traces its origins way back to 1907, when a certain unassuming gentleman, by the name of Vadilal Gandhi, the great-grand father of Virendra R Gandhi, Rajesh R Gandhi and Devanshu L Gandhi, started a soda fountain. The business passed in the hands of further generations and As a result, by the 1970s, the Vadilal Company had already evolved into a modern corporate entity. The group company Universal Dairy Products Pvt Ltd, which has a technical tie-up with the French dairy major Soddial and brought Cream Bell brand of ice creams into India last year, is exploring the possibility of entering the ultra heat treatment (UHT) milk market under the same brand name. 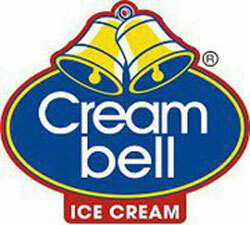 The Company is on track with expansion plans as far as Cream Bell ice cream is concerned. Cream Bell is a popular Icecream brand in the country as people love the different flavours and extremely rich and creamy quality. Nirula’s, a well-known name in the hospitality industry, had like all success stories a small beginning. The Nirula’s Family came to Delhi in 1928. The Nirula brothers before going into the Hotel and Food Service Industry tried their hand at various professions including running a pharmacy, optician shop and a photo studio.line shopping sites for leading media companies. Indiaplaza is managed by a professional management team. Today, the Noida production facilities include the Bakery, Confectionery, Cheese Plant, Ice cream Plant, Food Processing Unit and Hot Kitchen. Arun Ice creams is a popular cream brand in South India. Arun has over 1000 exclusive parlours. Of the 1,000 outlets, 670 are in Tamil Nadu, 148 in Karnataka and the rest in Kerala and Andhra Pradesh. It has over 70 flavours and combinations. Among these, many of them are India’s first & trendsetters in their category such as the Color Magic, an ice cream that changes colors. Hatsun has set up a 3000 liters per day ice cream plant in Seychelles in May 2008 and was setting up another plant in Fiji in the end of year 2009. It also has ice cream plant in Brunei.